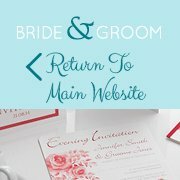 Planning a wedding abroad and need the little touches that will make your big day even more memorable? We’ve selected five products that have been given our gold star seal of approval. These gorgeous products are sure to add that extra personal touch to your day. 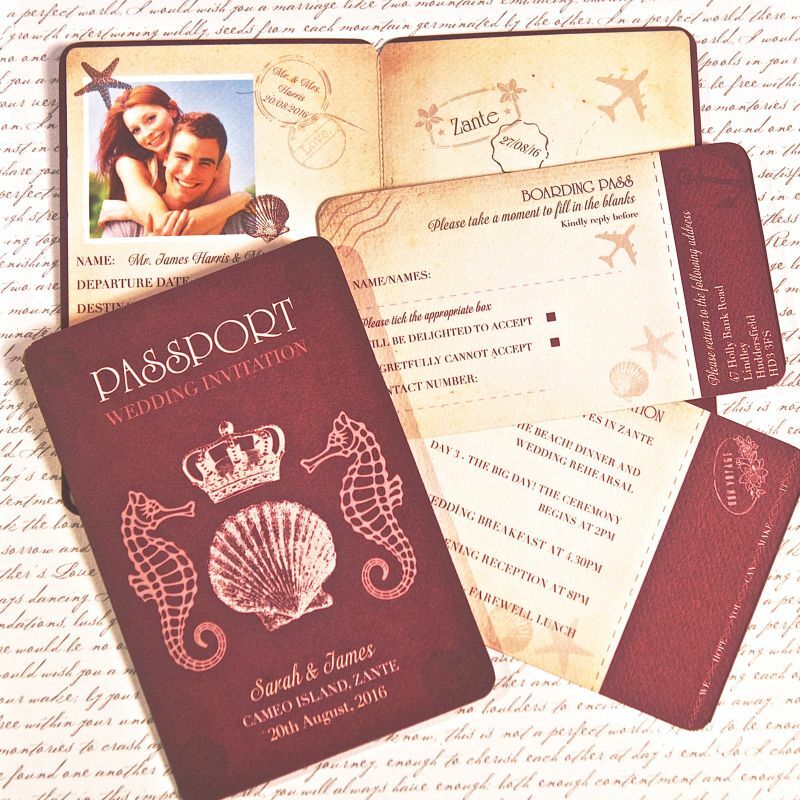 This Passport invitation features your names and wedding date on the front, open up to reveal your photo on the left with your ceremony details underneath. The right hand side pocket features a boarding pass style reply card and a guest information card. 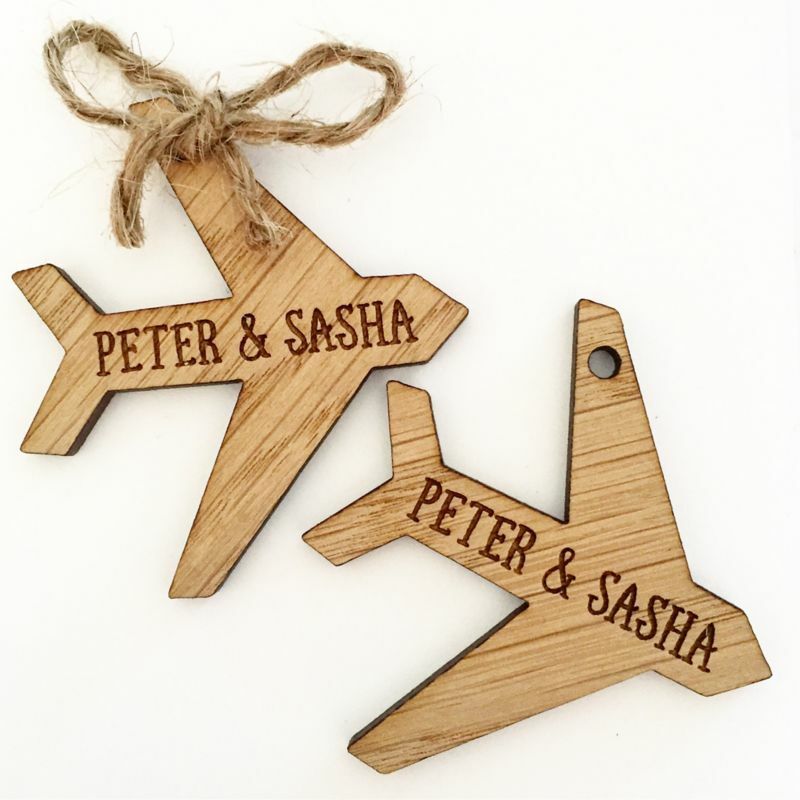 These personalised aeroplanes are perfect to use as wedding favours or table decorations. Each plane is made from an oak veneer and is engraved with your first names. They have a hole cut in the top corner to allow for ribbon or twine. 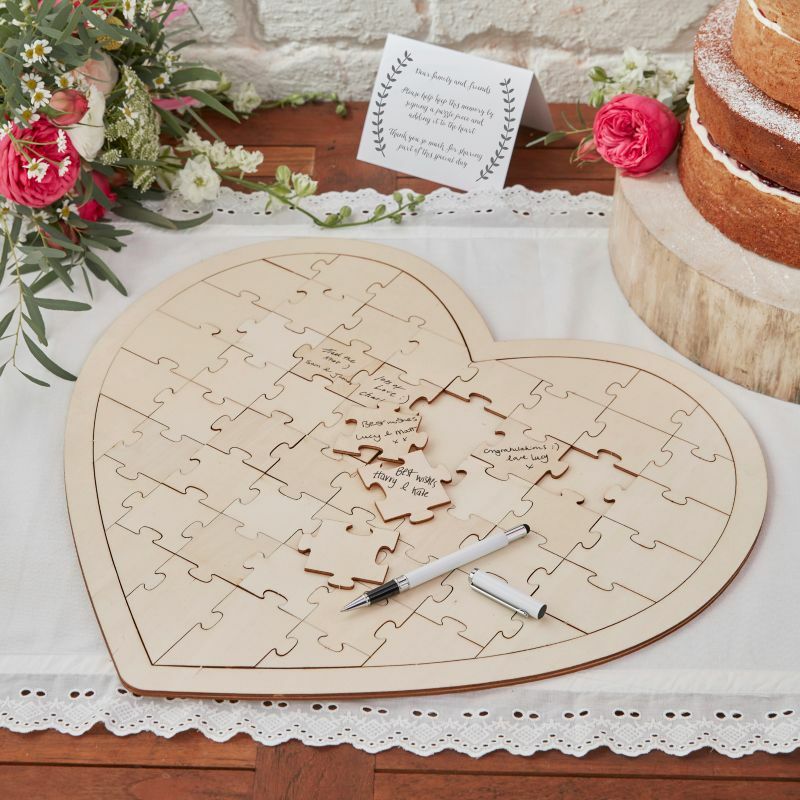 This wooden shaped jigsaw is a perfect alternative to the usual guestbook. Guests can leave their message on the jigsaw pieces enabling you to re-live your special day over and over again. 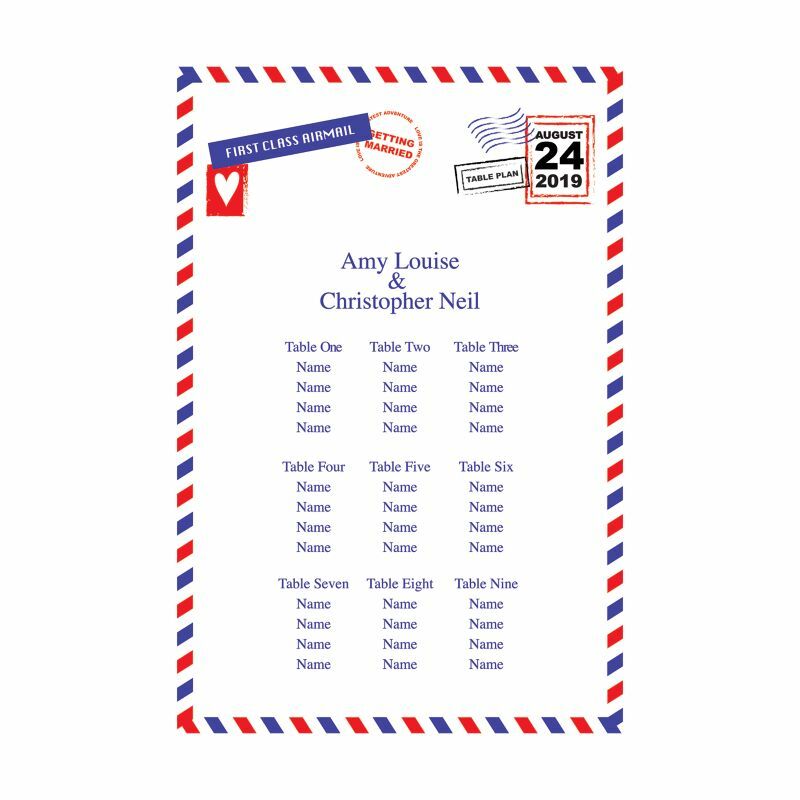 This Getting Married Table Plan features a traditional red, white and blue airmail envelope design. Your wedding date features in the stamp. Supplied with free table cards. Looking to be inspired? Discover our Destination themed Pinterest board now for all the inspiration you need! Click here.